Yamaha TX81Z brochure from 1986. Brought to you by popular demand... or more correctly... a promise I made to one guy who I was talking with at a local electronic music festival last weekend. We had both downed a couple of beer already, and had been talking about our mutual adoration for the TX81Z. I don't remember everything about the conversation, but three hazy points stand out in my mind. So, yah, I'm obviously a TX81Z snob. And proud of it. 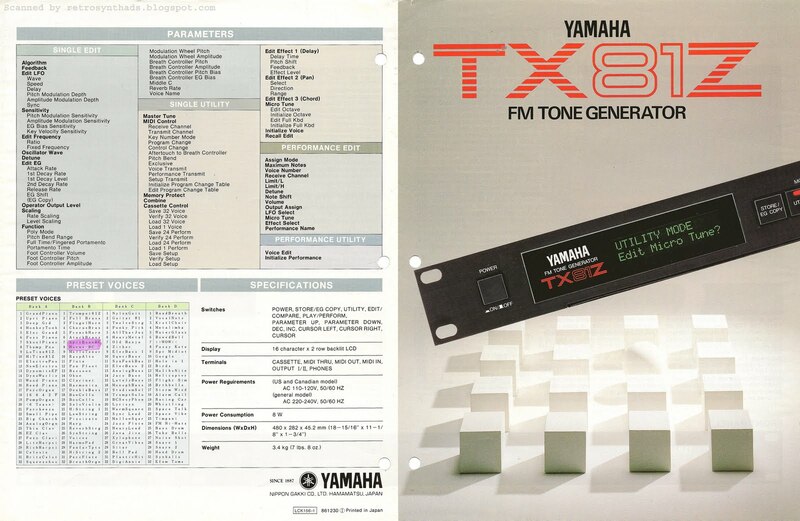 But the TX81Z was so much more than those sine-wave-only-wannabes. It's beauty lie in the eight different waveforms that each operator could produce, "generating sounds more complex than were possible with previous 4-operator FM synthesizers". Read the call-out box on the inside of the brochure for more info. In fact, even putting those waveform options aside for a moment, those crazy program engineers were obviously having a good ol' time designing the innerds of this thing. The new "Reverb" voice parameter simulated "the lingering decay of sound in a live room by slowing the EG release rates when the operator level falls below a certain point". In RL, not so good, but definitely fun. And the panning, transposed delay, and chord effects made the TX even more fun to play with. Interestingly, Yamaha chose to promote the TX81Z's microtonal abilities on the cover of this brochure - as found in the screen of the synth in the photograph. Sure, it was a great feature, but I think a photo showing a screen shot of the multiple waveforms would have looked much cooler, considering those waveforms really are at the heart of the expanded sound space of the TX81Z. Just my opinion. Anyways, take all these features, and add a list price of under $500, and you get a very popular synthesizer. For years after it's release, patches for it could be found regularly in magazines like Keyboard, and especially common in Yamaha's own monthly AfterTouch magazine. Yamaha's AfterTouch magazine started in 1985 as a free promotional magazine sent out to those lucky individuals that actually remembered to fill out their warranty cards. Many of these readers thought they had automatically subscribed to the free mag, so when they stopped receiving issues after three months, the complaints started rolling in. Turns out, the initial mailing had to be only a three month affair. According to the magazine, general postal regulations required that a signature be acquired by the sender to ensure the receiver actually wanted whatever was being mailed on a regular basis. So users had to fill out a proper subscription card in order to keep receiving AfterTouch after the three month grace period. But I think these postal regulations were actually good for Yamaha. Costs to keep producing this high-quality magazine and mailing it out to readers was going to start adding up. Without measurements on whether users wanted it or not, the cost/benefit ratio couldn't be calculated. 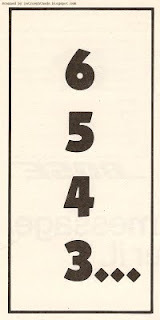 The subscription card gave Yamaha a much better idea of how many users are actually finding the magazine useful. An even cooler fact about AfterTouch: Back in the day, Yamaha would PAY readers when they sent in patches and other useful information. For example, if the magazine published your crazy DX patch - that's $25 in your pocket. Got a cool synth trick to share - that's another $25 bucks. And if you happened to develop a whole new approach to programming, or discovered an "important secret" regarding the use of one of Yamaha's synths - $100 bucks is yours! Okay, so these AfterTouch facts won't get you chicks. But in my defense, at that electronic music festival I mentioned earlier, my girlfriend compared the electronic sounds that "come out of those little boxes" to "magic". And, putting the requisite Arthur C. Clarke quote aside for a moment, apparently magic can get your chicks. 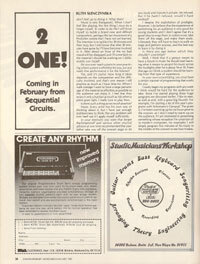 Sequential Circuits Inc. pre-launch countdown ads from pages 30, 32, and 34 in Contemporary Keyboard Magazine January 1981. Update: Added to Sequential Circuits interactive advertising timeline. What a great set of ads! I'm a big fan of teaser ads when they are done right. So when such a beautiful, simple, small, under-the-radar set of teaser ads comes out by SCI, I'm gonna jump on 'em - even when there isn't much to see. I almost felt silly scanning them, so to help with the visual, I've included small thumbnails of the pages that these ads were found on so positioning can be seen. I assume that most readers coming across these ads behaved similarly to me. 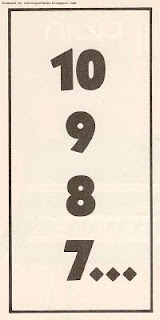 I came across the first ad almost subconsciously the first time I breezed through the January 1981 issue of CK. But when I flipped to the next page and saw a similar ad in the exact same space (top left corner of the page), the similarity with the first ad immediately registered in my frontal lobe, and I automatically flipped back to assimilate that first ad as well. Then, my brain's logic circuits immediately hit over-drive, and I instinctively flipped two pages ahead to the same spot to see if there was a third ad. And sure enough! And, after that introductory Pro-One ad ran a couple of times, a more familiar, and soon to be part of a legendary series, Pro-1 ad come out. A series of ads that was so well-received that they were turned into a set of posters. The introduction of the Pro-One wasn't the only SCI announcement to be found in the February 1981 issue of CK. Readers who had managed to read all the way through to page 79 in the magazine without skipping most of the pages to get to the Spec Sheet info (which, I'll admit, is what I used to do), would have come across the Keyboard News section with some great historical reference info. 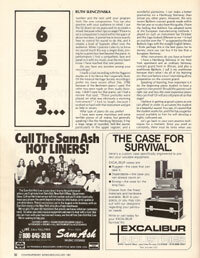 It included a short note about Sequential Circuits' new service centres. "California-based Sequential Circuits Inc., manufacturer of the Prophet synthesizer, has set up eight new service centers in the U.S. and Canada where owners of SCI products may go to correct instrument problems they encounter on the road. Technicians at the service centers have been personally trained by Dan Ramsauer, the firm's service manager, and are presently located in New York, Boston, Chicago, Cleveland, Toronto, Washington D.C., Atlanta and Los Angeles. Further information about the service centers may be obtained by telephoning Ramsauer or Bob Styles at the company's headquarters, 408-946-5240..."
Great info and probably a good strategy by SCI considering some of the issues with early Prophets. But back to teaser ads for a sec. I've questioned the value of magazine teaser ads in the past. With TV or radio, a teaser ad can be run multiple times within a week, a day, or even within the same program. Not so with a magazine. Readers will really only get one or two chances to see the ad in a single issue, so odds are quite high that many will miss it. 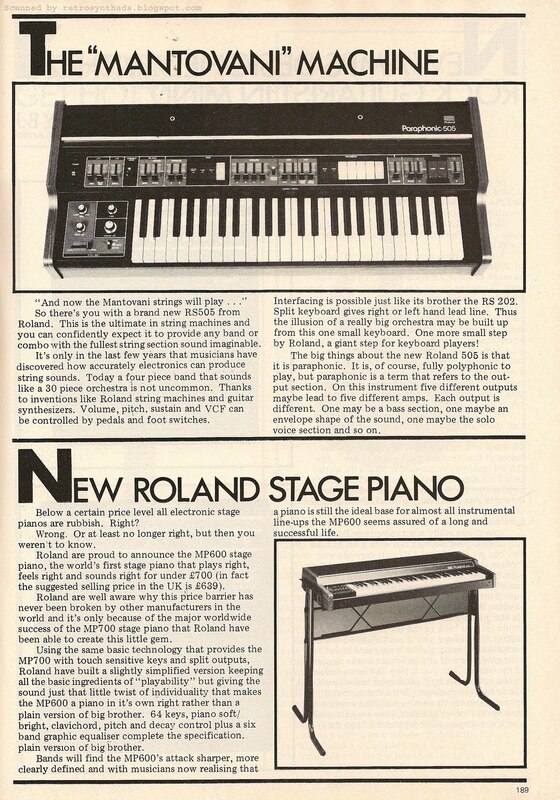 For example, Korg ran a teaser ad for the Sigma keyboard in just one issue of CK in 1979. Visually it is a great ad, and considerable resources obviously went into producing it. But was it worth all the time and effort in creating it? Or would an extra month of the actual Sigma ad done more for the marketing of the keyboard? In the case of these SCI pre-launch teasers, the cost of design and placement of these simple ads probably wasn't even close to the cost of the Korg ad. I guess I just wish it could have lasted more than one issue. 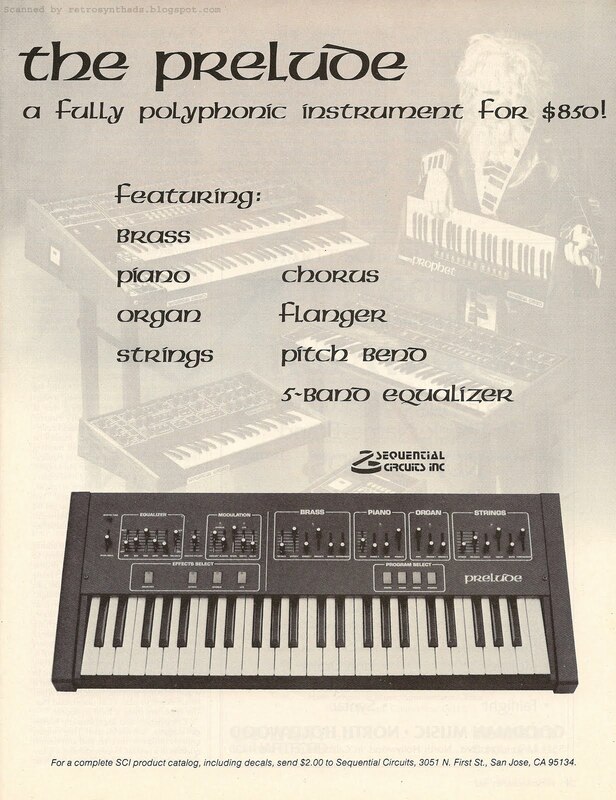 Sequential Circuits Inc. Prelude synthesizer 1-page advertisement from page 23 in Keyboard Magazine April 1983. Update: Added to Sequential Circuit's advertising timeline. 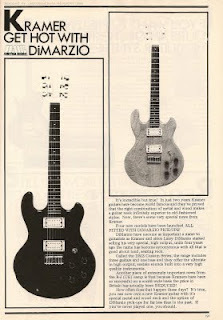 They all mention the fact that the Prelude was built in Italy by Siel and was known as the OR400 aka "Orchestra 2". Internally, they were virtually identical - you can find a good comparison video of the two keyboards on YouTube by Bob Weigel of Sound Doctorin' . This wasn't the first time SCI had partnered with the Italian company. According to SCI's Wikipedia page, a couple of years earlier the Fugue was designed by SCI (see comment by Micke) and built by Siel. But Similarly, with the Prelude, it looks like Siel had already built the keyboard, and SCI had slapped on its own front panel design and logo for US consumption. ARP had also done a partnership or two with Siel as well. "Italy was a major center for organ companies back then, when home organs were big business. So, there were many keyboard companies like Siel, who expanded into other areas like professional keyboards." ... and how the partnership with Siel came about. Who contacted who...? "Our marketing and sales guys back then wanted to add some products to our line, so they contacted Siel about private-branding some keyboards. These were all very close or identical to other Siel products, just with new paint jobs." And it is not like SCI hid the fact that the keyboard was manufactured by Siel. In fact, they gave Siel some good-sized props on the back on the machine, as can be seen in the photo below from a recent MATRIXSYNTH auction post. I sure didn't. And that's what's amazing. No MIDI. Not even CV/Gate. Just controls for a lonely foot switch and a volume pedal. That may have been more common for a keyboard in 1978, but not in 1983. 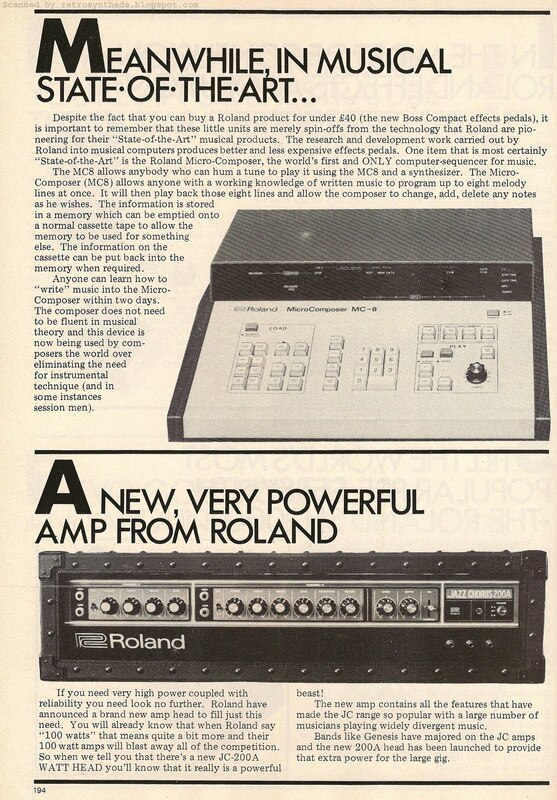 And quite frankly a little surprising considering that this was the same company that had just launched MIDI in their Prophet-600 a couple of months earlier. That's just the kind of control you loose (no pun intended) when you white-label another company's product. You don't have much of a choice. "SCI KEYBOARD. Sequential Circuits introduces the Prelude, a polyphonic keyboard instrument with string, brass, piano, and organ sounds, all of which can be mixed together if desired. Each instrument section also has three different tone colors that can be mixed. A modulation section allows for flanging, chorusing, vibrato, and delayed vibrato from an LFO. The brass section includes filter cutoff and resonance and attack time controls. the decay time can be controlled in the piano section, and attack and release times are controllable in the string section. the instrument also features a built-in five-band graphic equalizer. A rear panel input jack allows an external signal to be processed by the equalizer and the chorus effect. List price is $795.00. Sequential Circuits. Inc. 3051 N. First St., San Jose, CA 95134." I should probably say something about the ad itself. SCI must have realized it was an oddball too - someone made the decision to pull the plug on the ad after only a two-month run. Lovely title, subtitle and ad-copy. Check. Nice, large front panel photo of the instrument. Check. Everything points to the production of a great ad. I should point out that the coolest thing about this ad is the creator's choice to use SCI's own 1982 "The Sound Choice" ad as the backdrop, so faded out that most readers' eyes probably didn't even notice it. But nice to see the ol' SCI Wizard keeping up appearances. End note: What? You thought I wouldn't ask Dave Smith about John Mattos artwork? Answer: "Yes, we always liked John's art; very cool stuff!" 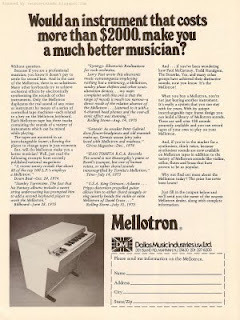 Mellotron "Make you a much better musician?" 1-page advertisement from page 38 in Contemporary Keyboard magazine September/October 1975. It's not so much about the ad. Although it has quite a few good qualities - like the classic Mellotron photo and all those juicy quotes pulled directly from such large magazines as Downbeat, Billboard, Rolling Stone, and even Time. And the cool thing is, most of those excerpts are also doing the job of name-dropping for Mellotron - referencing people like Peter Gabriel, Isao Tomita, and Larry Fast. But like I said - its not so much about the ad. For me, this ad is about being in the right place at the right time. Notice the issue date - September/October 1975. This just happens to be the very first issue of Contemporary Keyboard. The cover has a close-up, moody photo featuring... you guessed it... Chick Corea, with a few hints to the secrets readers will find inside including columns by Bob Moog, Bill Irwin, Chick Corea, and Art Van Damme. Inside the magazine, readers find only a few proper "synthesizer" ads. Instead, the slowly growing population of soon-to-be-synth-addicts have to turn to the articles to get what for many is probably their first fix of gear lust. The "N.A.M.M 1975 Keyboard Equipment Review" includes mouth-watering photos of the Orchestron, Polymoog, and Four-Voice, and the "Bob Moog, from theremin to synthesizers" article included images of Bob and his modulars posing with the likes of Keith Emerson and Roger Power. Drool. The lack of synth ads isn't surprising. It's a gamble for any company to advertisement in a new magazine. It take brass balls to shell out cash - even when the magazine has the clout of Guitar Player behind it. 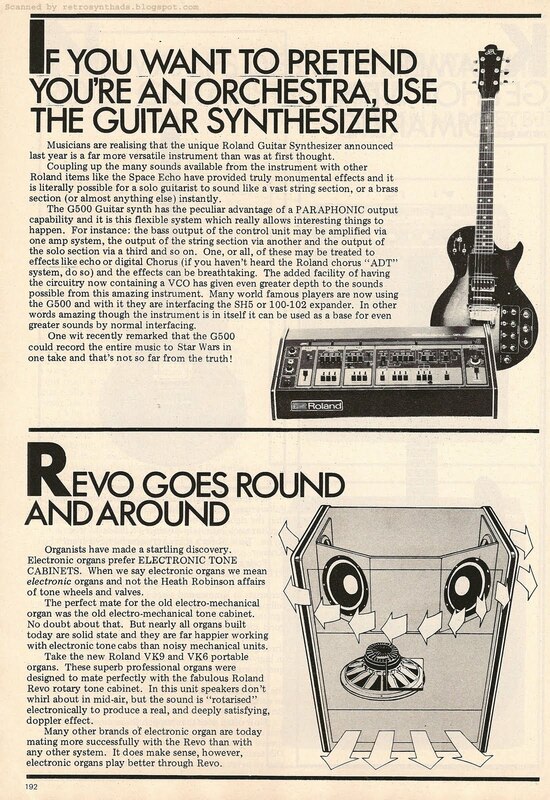 Many synthesizer companies at the time were still young, small, and probably a little cash-strapped, so its probably easy to understand that CK got their initial support from the likes of Yamaha pianos, Hohner keyboards, and Musitronic effects ads. In fact, the distributor for Mellotron, Dallas Music Industries |USA|Ltd., really stepped up to the task of supporting the cause by being the first to provide gear for CK Giveaway #1 - a free Mellotron. All of you filled out that contest form... right? We can't actually give Dallas Music Industries all the credit. 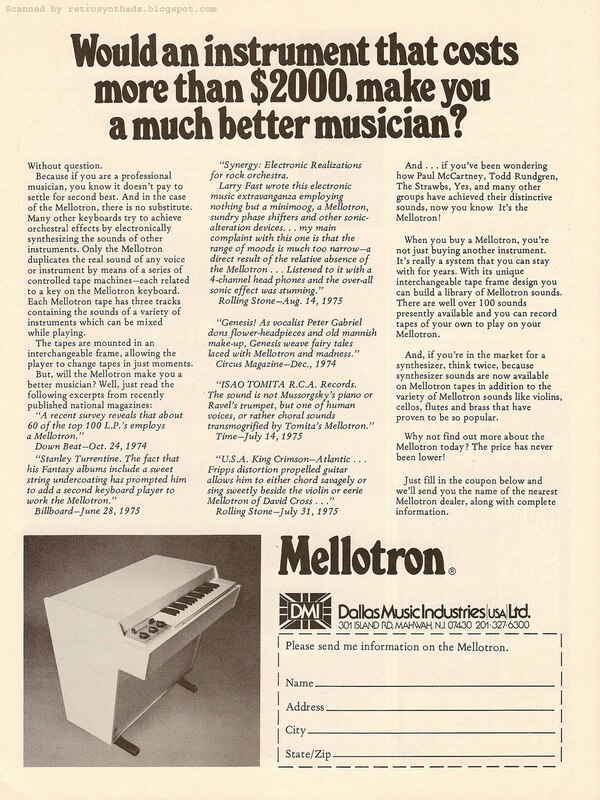 The Mellotron/CK contest page, which just happened to be directly opposite the Mellotron ad on page 39, does extend its thanks not only to the distributor, but also to ARP Instruments and Systems & Technology in Music - so, props to them as well for steppin' up. "The Mellotron is best described as a series of tape machines manipulated by a keyboard. Armed with the basic set of tapes, the musician can effectively reproduce the sounds of a flute, 'cello, or violins, across the instrument's 35 note range. Tapes are 3/8" / three track, and are mounted on a removable frame for ease of interchanging with other sets of tapes. The Mellotron provides the performer with a number of effects and features: Pitch control with a variable of plus or minus 20%, tone control of a 10db cut at 10Khz, and a gain control. Normal tape velocity is 7 1/2 ips, with a reproduction range of 50Hz to 12Khz, plus or minus 3db. The height is 34", width 34", depth 22", and weight 122lbs. Power consumption is 75VA with a transformer tapped at 115V, 220V, and 240V, at 50 or 60cps; single phase. This unique instrument is used by many major keyboardists to recreate sounds ranging from orchestras to vibes. it comes protected by a padded cover and a year's warranty against imperfect workmanship and labor. " So, as the ad questions... can a $2000 instrument make someone a "much better" musician? Well, I can't count the number of times in my early years that I shelled out a lot of dough for a new piece of gear, thinking *this* would be it. *This* will make my music hip and cool (okay, I probably didn't use those exact words). And Dallas Music Industries was betting that I wasn't the only one who thought that way. It's a strong "pull" for potential buyers. But, as I've learned over many years (and many purchases - new and used), fame and fortune is rarely one piece of gear away*. ARP Model 1601 Sequencer 1-page advertisement in Contemporary Keyboard November/December 1976. If you don't want to read Part 1 of the blog post, I'll catch you up. First I yammered on about the ad itself - design, ad-copy and it's general all-around creepy goodness. I also mentioned the Spec Sheet write up and other appearances made by the ARP 1601 Sequencer in other ads and promotional material. Then I mentioned how I came across one recently, but got all grumpy trying to find consolidated information on the Web about it. Instead, strewn about the Web are a number of references to different designs and model numbers. And to make matters worse, ARP gave this sequencer a generic name - "Sequencer". 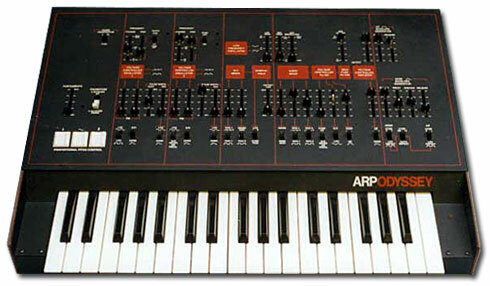 Why wouldn't ARP give it a cool name like they did for the "Axxe" or "Odyssey"? So, yah, I was a little grumpy last weekend. I'm much better now, thank you very much. But later on, rather than keep being all angry about it, I decided to do something. Probe. Google. Catalogue. Organize. 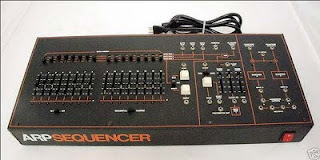 First, although it looks like the Sequencer had two major "designs", I found that most people usually just refer to their unit as "ARP Sequencer Model 16xx". This number is usually found on the back of the machine with the serial number. But I did find one or two instances where others classify the Sequencer designs as Mk 1's and Mk 2's - probably because the ARP Odyssey uses a similar naming convention. Makes sense. The differentiation between the two designs is easy to see - and the colour schemes basically match the last two versions of the Odyssey - which also helps in trying to narrow down manufacturing dates. The Mk 1 is generally believed to have been initially released in 1976 with a black and gold colour scheme, matching the ARP Mk 2 Odyssey of the time period. Wooden side panels are also distinctive to the MK 1's. 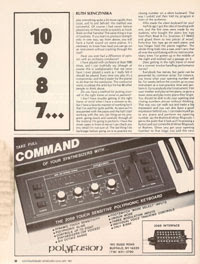 The appearance of the ads and Spec Sheet write up in 1976, and a 1601 Sequencer manual found on retrosynth.com that includes a copyright date of September 1976, support a 1976 release date. For comparison purposes, I've included an image of a Mk 1 Sequencer from a 2008 e-Bay auction found on MATRIXSYNTH, alongside a photo of an ARP Odyssey Mk II image from Wikipedia. So, where do you go when you want to get a good sampling of ARP Sequencers? Why, MATRIXSYNTH of course! And the site didn't disappoint - it had a number of ARP Sequencer posts with photos of Mk1s that also included model #s. Based on these posts, and other pages on the Web, I'm thinking that the Mk 1's included model #'s 1601, 1611, 1612, and 1613. Although, I was never able to find an actual photo of the back of an ARP Sequencer with a 1601 model number printed on it. I've only ever seen the 1601 referred to in the sequencer manual I found on retrosynth.com. Could it be that "1601" was the overarching model, and the 11, 12, 13 were the models within it? If you have a 1601 with the model number on the back, please let me know! Here's a few example Web pages that included references to model #s.
model 1611 from July 2010 auction. model 1611 anniversary edition with "old school coloured LEDs"
model 1613 with a date of 1975?!?! I followed the auction link to e-Bay and it does say 1975. Huh. I can't find a definite release date of the Mk 2 Sequencer, with its new black and orange colouring. And not only did the colouring change, but the Sequencer was also sporting a new sleek and clean look due to the removal the wooden side panels. Boooo! It would make sense that the colour scheme would have been updated when other ARP synthesizers like the Mk 3 Odyssey was released with the same "Halloween" theme. Most sites, like Vintage Synth Explorer and arpodyssey.com put the Mk 3 Odyssey manufacturing start date around 1978, although Wikipedia references it at 1976. I'm more likely to believe 1978. For comparison, below is a photo of an MK 2 ARP Sequencer from a 2007 MATRIXSYNTH auction post via Flickr, next to a Mk 3 Odyssey image from Wikipedia. Dang they look smart together. Wouldn't you like to have those two sitting beside each other in your studio? Web pages and posts of Mk 2 Sequencers with model #s are not as common at Mk 1's, but I did find enough references online that lead me to believe that there were only two Mk 2 models available - 1621 and 1623. I couldn't find any reference to model 1622's anywhere online. When you compare the front panel layouts of the Mk 1's and Mk 2's, there doesn't seem to be any differences, leading me to believe that they function exactly the same. So, why the different model numbers? Different "batches"? Or changes internally? Design engineers that wanted to torment me 35 years later? I can't find any references online - and have never been around one, let alone a bunch of different models, long enough to open them up and take a look. Yup. You heard right. As I mentioned earlier, I came across one for sale. And I turned it down. Don't judge me. I'm trying to build a Eurorack modular system. I'll blog about that when the Tip Top u-ZEUS flying bus board and other modules finally arrive. ARP Model 1601 Sequencer 1-page advertisement from Contemporary Keyboard November/December 1976. I had scanned and uploaded this ad a long time ago, but never got around to blogging about it. Then I recently came across a late model ARP Sequencer, and started doing a bit of research - which led to some confusion... and then more questions... But I'll get to that in a minute or two (depending on how fast you read). First, a few advertising specifics. Personally, I love this wonderfully creepy little ad, my eye drawn directly to that image of the hand. And that disproportionately-shaped hand with the embedded Sequencer front panel is only made creepier (creepier = better) by the well-defined veins and tendons. My mind doesn't even register the title and ad-copy at first. But that's okay, because the way the ad-copy is shaped into the outline of the wrist creates a visual line for the eye to follow from the image up to the top of the page and the title. Which then leads into the ad-copy, and then back to the hand. Nice. Full circle. The advertisement only seems to have ran twice in Contemporary Keyboard - July/August and November/December 1976. 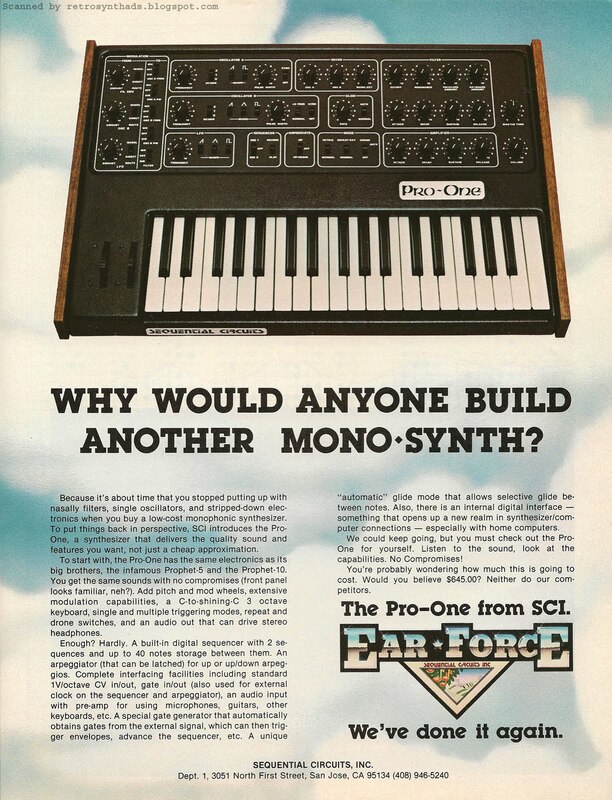 But don't let that short run fool you, because even though the Sequencer didn't make an appearance in ARP's earlier "Only the Strong Survive" family of products advertisement that ran in CK in early 1976, it did get a checkbox in the "A few facts about synthesizers" ad that followed it in the spring. "ARP Sequencer. This 16-station analog sequencer produces either programmed or random sequences, freeing the musician's hands to perform on other keyboards. The unit is fully interfacable with other ARP instruments, and features dual quantizer circuits, which permit chromatically-scaled programming and control over accents, rhythmic patterns, and dynamic changes. The performer has the option of having the unit produce up to sixteen single-voice notes controlled by one quantizer (16/1), or up to eight 2-note chords controlled by two quantizers (8/2). Linear slider pots are supplied, and push-button switches for skip, reset, or start modes are provided. LEDs indicate the note being played, and five gate outputs, pulse-width modulation control, and pedal jacks for external control are supplied. Suggested list price is $795.00. ARP Instruments, 320 Needham St., Newton, MA 02164." 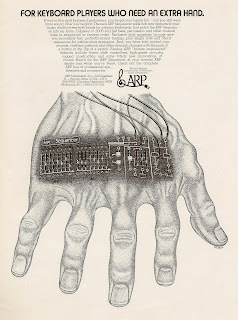 Those details were again seen by readers in the January 1977 issue of CK, when one lucky reader could win an ARP Sequencer in Giveaway #9. The description of the sequencer in the contest is pretty much exactly the same as the Spec Sheet, except for one important piece of historical information. The suggested retail price of the Sequencer was bumped up to $895.00. That's a $100 jump in less than a year. The Sequencer could also be found in other printed pieces such as this ARP Software and Accessory Catalog from approximately 1977. It even included this ad in the catalog! Put it altogether and you get about a year of solid ARP Sequencer advertising. So, as I was writing earlier, I recently ran across a later model ARP Sequencer and decided to do a bit of research to see if it was worth the price of admission. And honestly, at first the research just confused me, although I think I sorted it out in the end. The first problem is that ARP gave this thing a generic name - "Sequencer". ARP usually had cool names for its different synthesizers - Odyssey, Axxe, etc., so why not give this thing a cool name as well? Or at least an "official" number like the 2600 had. Most people refer to it as the model 1601, so I've described it as such in the title and blog labels. But, to make matters worse, much like the Odyssey went through a few different "looks" during its lifetime, so did the Sequencer. And, also like the Odyssey, each "look" had a few different model numbers associated with it. Unfortunately, the time line for each of the versions and models doesn't seem to be well documented on the Web, and I believe this situation has led to some confusion on some of the most popular synth sites, even for such simple things as production dates. For example, at the time of this writing, Wikipedia and Synthmuseum.com both list a manufacturing date of the Sequencer at 1979. This 1976 ad, the 1976 Spec Sheet write-up, and other 1976 and 1977 ARP material would disagree. Well - it was time to sort this all out. I decided to do a bit more in-depth probing, googling, cataloging, and organizing. It is what I do best. And so I did. 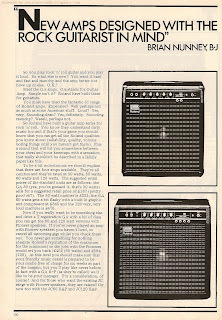 E-mu Systems Inc. "Drumulator Systems Options" 1-page advertisement from page 57 in Keyboard Magazine November 1983. This ad brings me back to a simpler time. A time back in the 80s when I used an Apple IIe and Passport's Master Tracks. Even on stage! Just look at that joystick too. That, unfortunately, didn't work with Master Tracks. Quick aside: Check out Passport's Wikipedia page to see it's connection with Electronic Music Labs and Star Instruments! The ad itself has a clear purpose - to let readers know that their drum machine would not become obsolete and that E-mu was giving readers three more great reasons to buy a Drumulator - a pad programmer, software that runs on an Apple II and Apple IIe, and the ability to add custom new sounds. Nice. As was the case with all E-mu ads, the layout and design is top-notch from top to bottom. And, as was done with the introductory ad, the drum sticks are used to make another eye-catching pattern - this time found the background at the top of the ad. The ad-copy is also well done. Although, as an Apple fan boy of the 80s, I'm a little sad that E-mu doesn't actually mention what computer the software runs on in the text. There is a clearly labeled Apple II computer in the photo, so I guess its not that big a deal. Especially when you have such limited room. 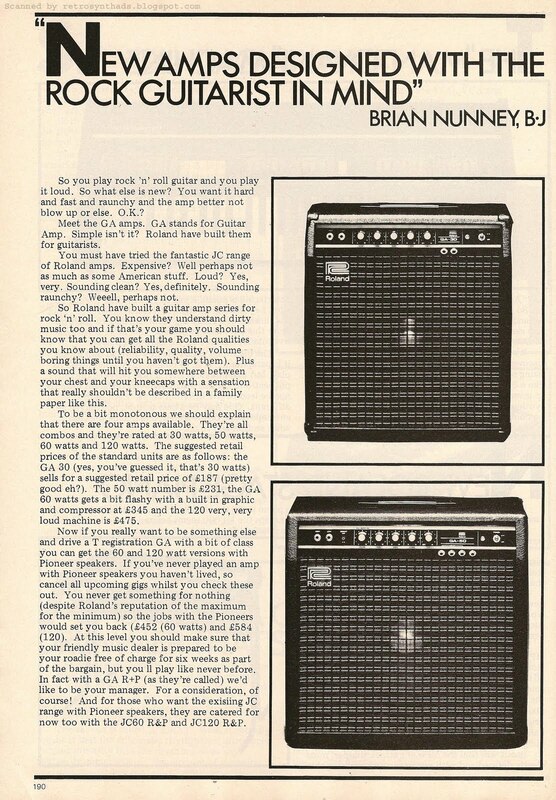 This advertisement began it's first short three month run only one month after the introductory Drumulator ad last ran, appearing from November 1983 to January 1984. Then, after four months of silence, it suddenly appeared again for the June and July issues. Why the sudden re-appearance after a four month dry period? E-mu had partnered with Digidrums to provide alternate sound chips. In fact, E-mu wanted to make sure that Digidrums got its fair share of publicity, so they cut down some of the original ad-copy to make room for Digidrums mention in the June/July version of the ad. "Each of the Programmer's pads can be assigned to any Drumulator sound and each is touch sensitive, allowing you to choose the normal or accented version of a sound by how hard you hit its pad. Programming complex dynamics was never easier." "And, thanks to Digidrums alternate sound chip sets, your Drumulator can now take on completely new identities, from electronic drums and heavy metal rock drums to a Latin percussion set complete with congas, timbales, agogo bells and tambourine." "E-mu Drumulator Updates. The Drumulator Pad Programmer allows the Drumulator digital drum machine to be played and programmed with drumsticks on four dynamically responsive pads, simplifying the process of creating rhythms with natural-sounding accents and allowing the user to improvise rhythms using sticks. Sensitivity and accent level controls allow the response of each pad to be individually tailored to the user's playing style. In addition, the unit includes four trigger outputs for controlling synthesizers, sequencers, or other drum machines. The Drumulator Graphic Rhythm Composer (GRC) is a software system for the Apple II or IIe computer that allows non-real-time programming of measures and songs with total dynamic control on a note-by-note basis. The GRC is composed of four linked program modules. With the measure writer module, a cursor is moved around a graphic representation of a measure of music, placing notes o the desired beats and setting their volume levels. Segment writer and song writer modules are used to link measures into complete songs. The song player module is then used to actually play the song on the Drumulator. A selection of alternate sounds is also available for the Drumulator. A user-installable chip containing a crash cymbal is available as a replacement for the standard ride cymbal. Additionally, Digidrums (100 S. Ellsworth, 9th Floor, San Mateo, CA 94401) is offering E-mu-authorized alternate sound sets for the Drumulator. Current offerings include two different electronic drum sets, a Latin percussion set, an African percussion set, and a heavy metal rock drum set. Each set includes from 8 to 12 new sounds and completely replaces the standard Drumulator sounds. A demo tape is available from E-mu dealers or directly from Digidrums. E-mu, 2815 Chanticleer, Santa Cruz, CA 95062." "Drumulator Memory Expansion Mod. The x5 by SD Simpson is a memory expansion modification for the E-mu Drumulator. It is designed for in-board installation and has been tested and approved by E-mu as a system upgrade. The circuit board gives you five separate storage banks, each equal in capacity to the Drumulator's stock capacity. The banks are accessed with a single rotary switch. All operating procedures remain the same as before. The mod can be installed by the user. Price is $275.00. SD Simpson, 11907 Brookmont, Maryland Heights, MO 63043." 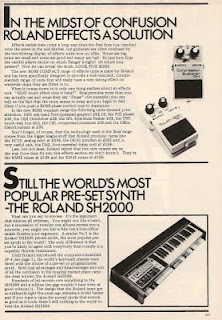 Roland / Brodr Jorgensen (UK) Ltd. embedded 8-page promotion for the Jupiter-4, SH-1, SH-7, RS505 and MP600 synthesizers/keyboards, CR68 drum machine, GR500 guitar synthesizer, SH2000 preset synthesizer, and MC8 sequencer from pages 187-194 in International Musician and Recording World, September 1978. 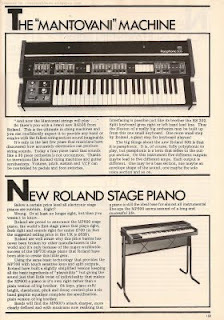 August 3, 2011 update: MATRIXSYNTH just sent word that one of the readers on his blog - transluscent_nick - noticed that the Roland Jupiter 4 on the first page of this ad series must be a prototype! 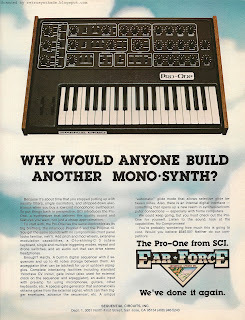 Sure enough - the synth in the picture seems to have a lot more in common with maybe the screened design/colours of an SH-7 than a production model Jupiter 4. In addition to the overall cosmetic differences, also noticed the switched-up Roland logo and "Jupiter-4/Compuphonic" text, obvious changes to the VCO section, and a total change-up to the side panel controls. Thought I would try an experiment and scan something a bit different. You see them all the time now in lots of magazine - usually with a small "paid advertisement" label in small text somewhere, because some regulation exists that says that magazines have to identify these embedded ads as such. And these embedded ads were quite popular in magazines such as International Musician and Recording World back in the 70s and 80s. In fact, sometimes you couldn't tell when the article ended and the ad would begin. In comparison, this type of ad wasn't seen often, if at all, in American music magazines like Contemporary Keyboard or Synapse. So, because of the nature of these ads, I've been hesitant to post them even though there is usually some good reference info in them - specs, prices, etc. They are just so dull looking. 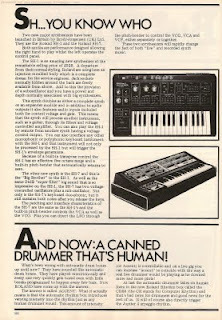 Although looking back, I think I would have been so hungry for synthesizer info that I would probably read through these types of ads very thoroughly had I been given the opportunity. That was the whole idea - embed the ad into the magazine so well, that at least subconsciously, readers will think of them more like independent factual information rather than as a commercial advertisement or promotion. "So you play rock 'n' roll guitar and you play it loud. So what else is new? You want it hard and fast and raunchy and the amp better not blow up or else. O.K.? Meet GA amps. GA stands for Guitar Amp. Simple isn't it? 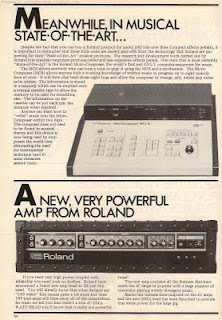 Roland have built them for guitarists." Like I mentioned earlier, this kind of multi-page advertising was quite common in International Musician and Recording World (IMRW), both by distributors and even local music stores. Music store giant Chase Musicians would do multi-page promos quite often, and in fact, had a seven-page ad in the same September 1978 issue. 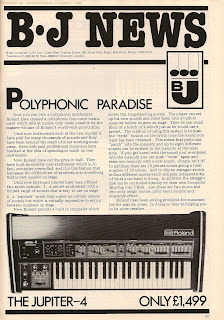 But unlike the BJ's focus just on Roland, Chase was promoting a number of different synth companies, including ARP, Moog, Roland and Yamaha. And this multi-page promo was big on photos with very little ad-copy. Much more ad-like. 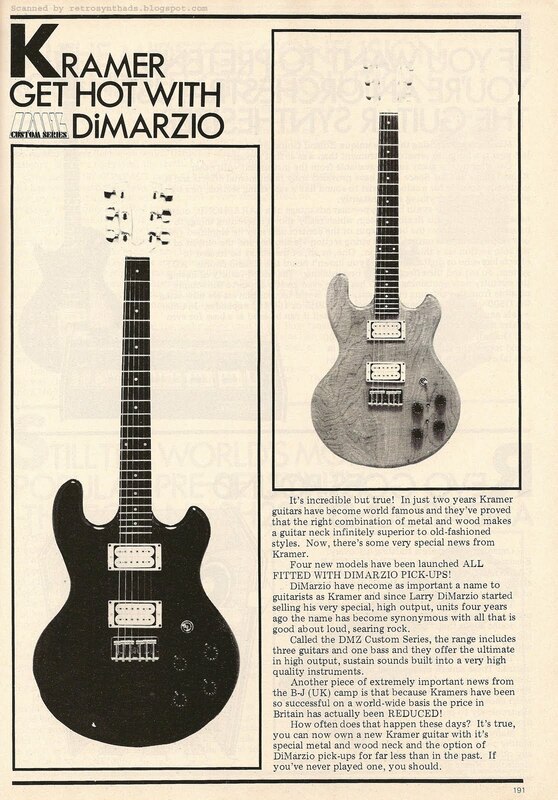 The January 1978 issue of IMRW had an even larger Chase Musicians promotion that was more "embedded ad" looking. Called "The London Synthesiser Centre Report", the 18-page embedded promo was basically one big series of ads for The London Synthesiser Centre, which had opened the previous summer. The store didn't just sell synthesizers, but also provided modifications and overhauls, demo evenings, and educational courses. The promo in the January issue was so large that the magazine even gave it it's own call-out box on the cover promoting a "Chase Musicians Supplement". Basically a Chase Musicians ad on the cover, promoting a giant series of Chase Musician ads inside the magazine. Crazy stuff. That's 18 pages of ads in a 202 page magazine - almost 10%. I assume this cost some big bucks. This Chase promotion is quite similar in design and structure to the BJ News embedded ad. 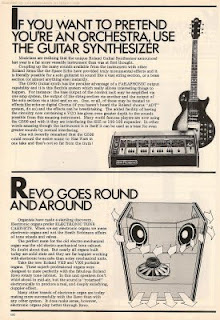 The series of ads/articles are ad-copy heavy, but Chase Musicians takes it one step further, this time peppering the articles not just with photos of ARP, Octave (with a cat of course), Korg, Elka, Roland and Yamaha synthesizers, but also with photos of the managers, employees, and even the bigwigs from distribution companies. "Brodr-Jorgensen (UK) Ltd. and the London Synthesiser Centre are unusual operations. They are highly successful and their future are inextricably bound together." Yoiks - I hope not too "inextricably bound" considering what happened to BJ just two years later. Now, don't get me wrong. I'm not totally poo-pooing this type of embedded advertising. Like I said above, as a younger lad I would have eating this stuff up since there were just so few places for me to get synthesizer information at the time. One of these multi-page embedded ads with lots of ad-copy would have provided me almost a Keyboard magazine's worth of Spec Sheets and Keyboard Reviews. In fact, the more I think about it, the more I like them. So, back to the experiment. Am I going to start scanning more of these embedded ads? Was this experiment a success? I'm still on the fence. 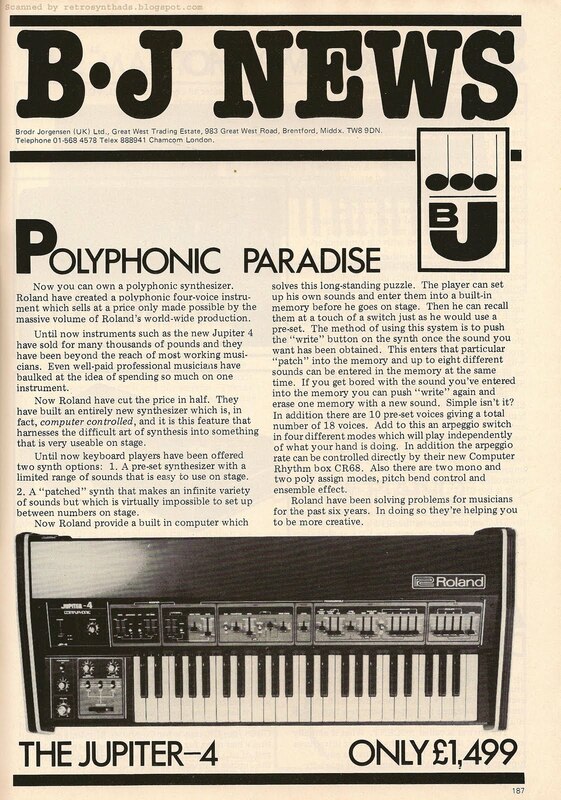 I have a history of posting distributor's ads, such as Korg ads like this one that appeared in Contemporary Keyboard by distributor Unicord, or the recent BJ ad for Roland. So, theoretically scanning this BJ ad would fall under the same category. But for some reason I put reseller ads, like most of those for Chase Musicians, into a different pile. Reseller ads are usually just advertising the fact that they have instruments for sale at their store for a certain price - although the Chase Musician's London Synthesiser Centre promos are quite different. They are more like the distributor's promos that are usually advertising the instrument(s) through a marketing campaign of some sort. I just find them more interesting. E-mu Systems Inc. introductory Drumulator 1-page advertisement from page 37 in Keyboard Magazine February 1983. Okay. Call me a geek. But whenever I look at this ad, my eyes always directly travel to the background. The graph paper design honestly brings me back to the days of playing Dungeons and Dragons late at night, with large sheets of graph paper laid out on a big table. 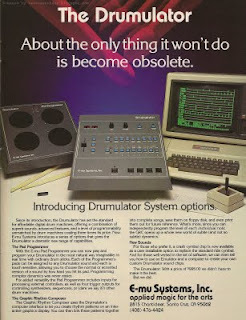 Oh, and my Drumulator would be sitting in the corner on another table. Ignored. No... seriously. 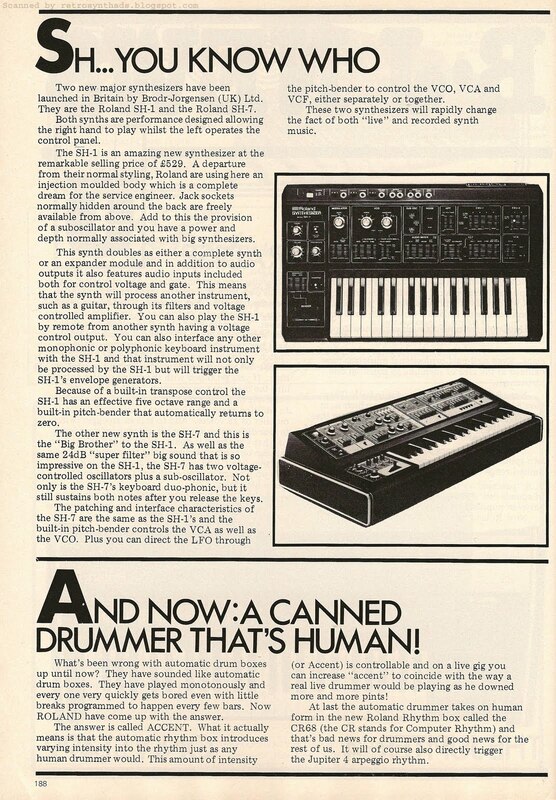 This advertisement first appeared in Keyboard magazine in February 1983 to introduce users to a spectacular new drum machine that could be had for under a grand. It continued to run most of the year, finishing off in October, with breaks in April, May and September. A pretty good run for an intro ad. The ad itself is really well laid out in my opinion. It includes great eye-catching design, especially with that photo of the Drumulator and drumstick pattern. And details like the shadow and graph paper design beneath the Drumulator help pull it off the page and toward the reader. No 3D glasses required. The title text and ad-copy hit the nail on the head by first focusing on it's "amazing new feature" - Affordability. And the rest of the ad-copy is professional, with just the right amount of text for a product introduction. I'll lay-off of the whole E-mu bauhaus-font-based logo stuff for now. I get kinda school-girl giggly whenever I start writing about it. But - fair warning - there is at least one more Drumulator post to come in the future. Psst - if you want, you can get a little giggly with me in this blog post. Interestingly, a Spec Sheet announcement never appeared in Keyboard. 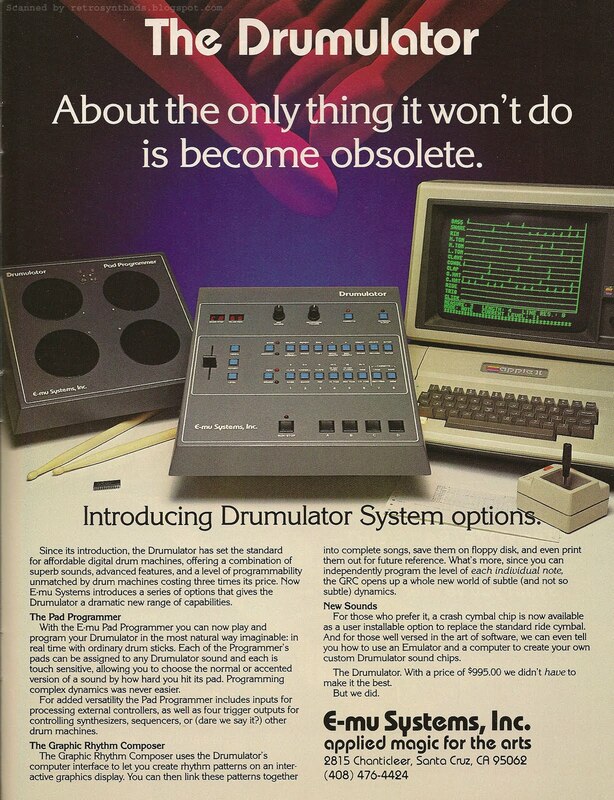 But that might be because the magazine published a 2-page review of the Drumulator in their Keyboard Report's section in June 1983. 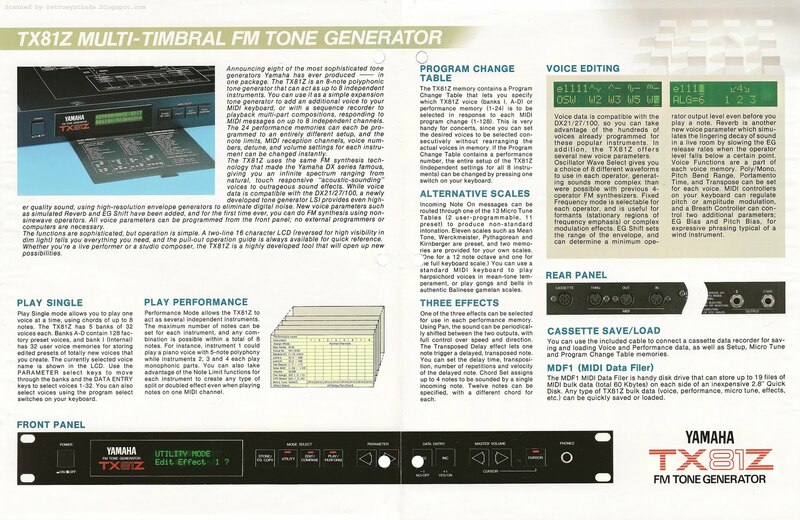 The review, written by Jim Aikin, starts off with the obvious cost comparisons that were being made to other digital drum machines with "real drum sounds" at the time. 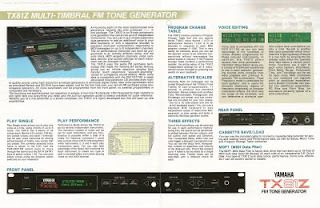 "The first programmable drum machine that had real drum sounds (the LM-1 from Linn Electronics) cost almost $5,000. A year or so later this was followed by the Linndrum from Linn and the DMX from Oberheim, both of which checked in under $3,000. 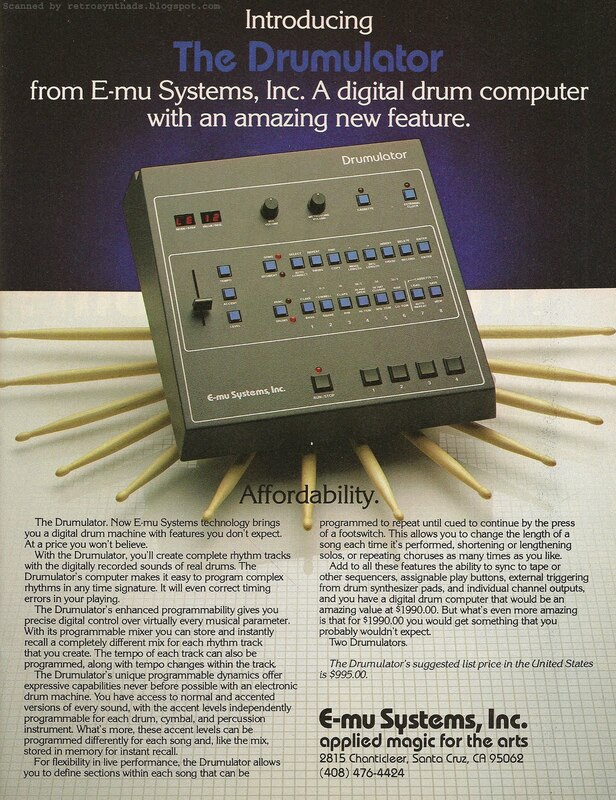 And now E-mu Systems is offering the Drumulator, list-priced at a mouth-watering $995.00." Jim does caution readers that E-mu had to "cut a few corners to get the price so low", although he adds that it did include two features not found on any other drum machine - programmable tempo and programmable accent levels. "If you have a suspicious nature, you might expect that a drum machine this affordable would be a bit on the cheesy side. But you'd be wrong... All in all, we were very impressed by the Drumulator, and we imagine a lot of other musicians will be too." In fact, according to the September 2002 Sound on Sound article "30 Years of E-mu", musicians were so impressed with the Drumulator that "it sold by the bucket-load, achieving nearly 10,000 sales over two years". Okay - I kind of lied earlier. No, not about playing Dungeons and Dragons (and for the record I was the best half-elf cleric around). I lied about the Spec Sheet promo. "The E-mu Drumulator is a programmable drum machine that contains the digitally recorded sounds of real drums. The recorded sounds include bass drum, snare drum, sidestick snare, three tom-toms, claves, cowbell, handclaps, ride cymbal, and open and closed hi-hat. Thirty-six rhythm segments in any time signature can be programmed, and these can be linked into eight different song chains of up to 99 segments each. Tempo and accent levels are programmable for each song. In addition to a cassette interface for off-loading the information in memory, the Drumulator has an RS-232 computer interface for external control and programming. List price is $995.00." One comment before I finish. As you might expect, I have bucket-loads of Contemporary Keyboard, Keyboard, Electronic Musician, International Musician, Synapse, Polyphony, and many other music mags. And one thing that always surprises me is the number of contest forms that are NOT FILLED OUT. I'd say maybe one in a hundred. Prolly less than that. What were all of you thinking?!?! Seriously. When I was young, I ruined many a music mag by cutting out, filling in, and mailing off contest forms. Yah, even those that said they were for US readers only - which was most of them. I figured if I ever won, they would call and my cute little excited kid-voice would convince them to send whatever I won to me.